Costa Rica Birding.... for those wanting specialised birding tours you really need a good birding guide to help you spot some of the amazing birdlife in Costa Rica. 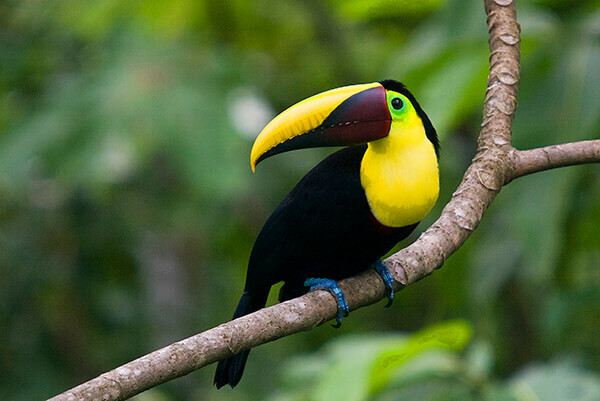 The Arenal Costa Rica area with its lush jungle rainforests, volcano areas and farming land, attracts a wide variety of interesting birds, such as keel-Billed toucans, Montezuma Oropenulas or Laughing Falcons, amongst many, many others. 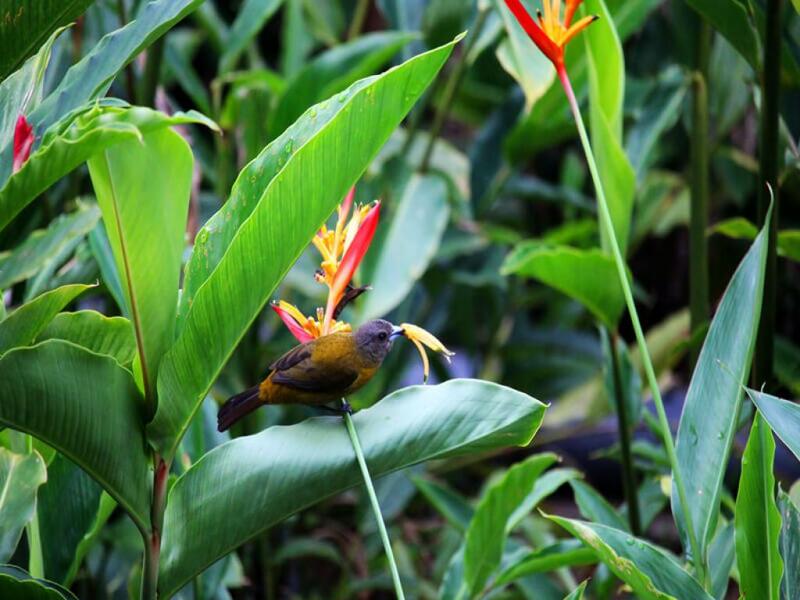 There are 840 or so species of birds in Costa Rica, so you are bound to spot a fair few on this Arenal tour! The locations we go bird watching depend upon the season and the best birding options. Locations include Arenal Lake, El Silencio Nature Reserve or Finca Luna Nueva or other local private reserves in the Arenal Volcano area. As most birders know one of the best times to go birding watching is early in the morning, so our tours tend to start about 5.00-6.00am with a pick up from your hotel. 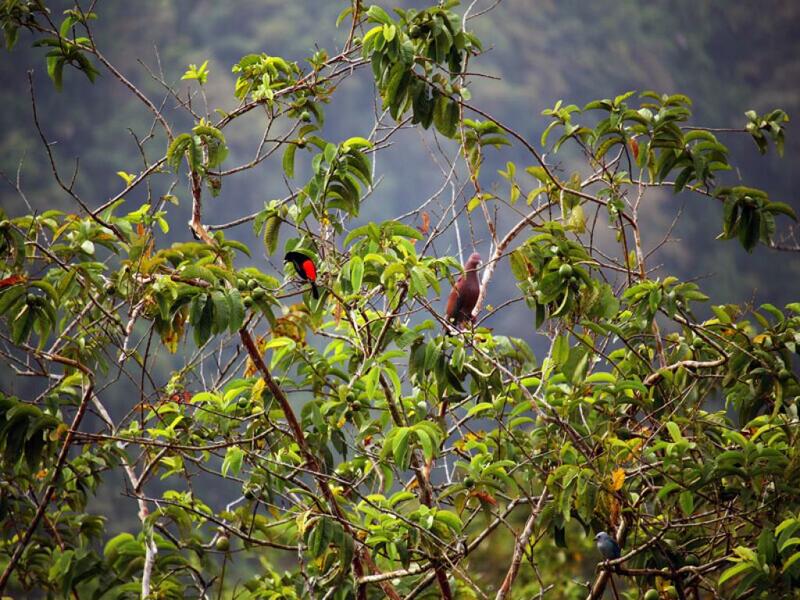 Your guide will take you on an informative walk to see many of the more famous tropical birds of Costa Rica as well as the more difficult to see species such as Royal Flycatchers, White-fronted Nunbirds and Cinnamon Woodpeckers. The guide will be checking his Costa Rica birding book during the tour so that you can discuss the birds you are spotting and the guide will be happy to answer any questions you may have.